It took ten days for Microsoft's Kinect to hit one million sales. Now Microsoft reveals that the device has sold 2.5 million units in 25 days. This can only mean one thing: Someone is buying 100,000 Kinects a day. It's either that, or Kinect is simply selling at a relatively steady rate. The latest numbers come following brisk Black Friday sales, with retailers like Target reporting strong movement for Microsoft's hands-free controller accessory. 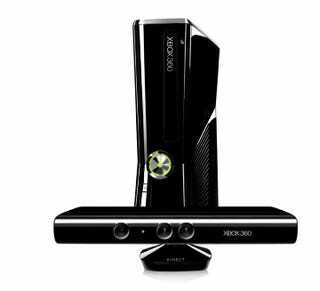 "Kinect on Xbox 360 was a top performer at Target this weekend," said Nik Nayar, vice president, merchandising, Target. "We expect Kinect will be a must-have gift this holiday season, so Target will continue to receive consistent shipments of Kinect throughout December. The hands-free, active gaming experience that Kinect offers is something that everyone in the family can enjoy." According to Microsoft's president of the Interactive Entertainment Business Don Mattrick, the company is working with manufacturing partners to keep up with demand, and are working to make sure the Kinect stays on store shelves. "With sales already exceeding two and a half million units in just 25 days," says Mattrick, "we are on pace to reach our forecast of 5 million units sold to consumers this holiday."